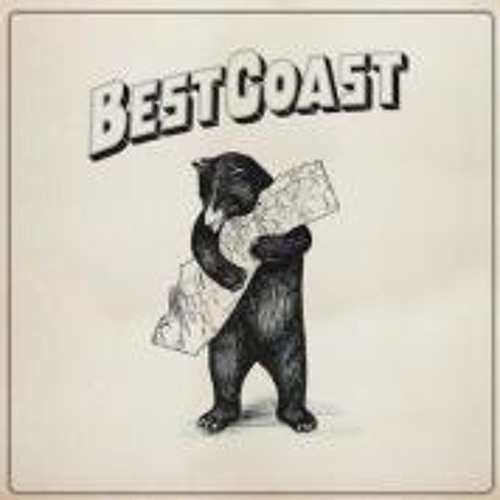 On 14th May 2012, Best Coast will release their highly anticipated new album The Only Place via Wichita Recordings. The record will be preceded a week earlier on 7th May by a single, the album’s title track. This follow-up to 2010’s acclaimed Crazy For You finds the proudly Southern Californian duo of Bethany Cosentino and Bobb Bruno maturing in both their sound and perspective. While Crazy For You was a nostalgic tribute to teenage feelings, The Only Place finds front woman Cosentino starting a transition into adulthood. “I’m trying really hard to grow up,” she says. “I’m trying to let go of my bad habits and the immature things I still drag around with me.” Of course this adjusting comes with uncertainty and self-doubt, two feelings at the emotional center of an album that also features a love song to her home state of California in the title track. All encompassed in the memorable album cover, derived from a 1913 sheet music illustration paying homage to the golden state. As with Best Coast’s previous recordings, on The Only Place Cosentino handles all songwriting, lyrics, vocals and rhythm guitar, while multi-instrumentalist Bobb Bruno plays lead guitar, bass and drums. What’s new this time is their decision to work with producer and composer Jon Brion. A revered figure in the music world, Brion has collaborated with artists including Fiona Apple and Kanye West and created the scores for such films as Eternal Sunshine of the Spotless Mind and Punch-Drunk Love. Recorded at Capitol Records’ famed Studio B, The Only Place features a cleaner and richer sound than other Best Coast releases. Many of the songs’ arrangements are detailed with subtle percussion and unexpected instrumentation. Intricate but never overworked, the biggest change from previous releases is how it showcases Cosentino’s voice, this time letting it ring clear, unhidden by distortion and reverb.